Live Better Now with Mimi Guarneri, MD – Details and Air Dates: TV SCHEDULE CHART below. 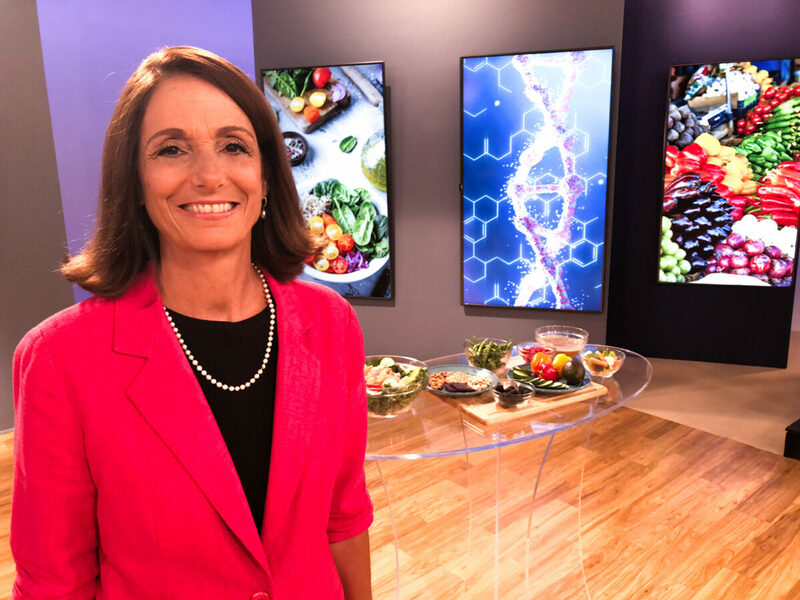 See Dr. Mimi Guarneri’s special on hundreds of public television channels across the U.S. in 2019 and 2020. Increased airings are expected during periods in March, June, September and December 2019 and 2020. Please continue to check your local station listings. 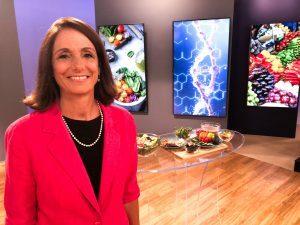 Dr. Mimi Guarneri introduces her “7 Steps to Live Better Now,” a comprehensive, step-by-step program that addresses everything from the foods you eat, your genes and the relationships you cultivate to the way you work and play. Audiences rave about it! Every day, 2,600 Americans die of cardiovascular disease — and despite remarkable interventional and surgical procedures, over 650,000 new heart attacks occur annually. While practicing conventional medicine as an interventional cardiologist, Dr. Guarneri came to realize that the body has a secret language of healing, and that surgery does not address the root cause of illness. For more than 20 years, she has researched and practiced a more holistic integrative approach to health, guiding her patients to wellness and optimal healing potential. Her “7 Steps to Live Better Now” is a comprehensive, step-by-step program that addresses everything from the foods you eat, the relationships you cultivate and the way you work and play, to the amount of stress in your life and how you can transform it. Treating disease after it occurs is not the solution. Dr. Guarneri’s philosophy fuses the latest in science and technology with the deeper realization that the human health is more than physical. Macro- and micro-nutrition, supplements, stress management, enhanced resiliency, and spirituality are just a few of the key components to health and longevity. ” Live Better Now with Mimi Guarneri, MD provides the knowledge and guidance necessary to get on the greater path of healing. Board-certified in Cardiovascular Disease, Internal Medicine and Integrative Holistic Medicine, Dr. Mimi Guarneri is a founder and the president of the Academy of Integrative Health and Medicine. She serves on the founding board of the American Board Physician Specialties in Integrative Medicine and is a clinical associate professor at University of California, San Diego. Dr. Guarneri is the co-founder and medical director of Guarneri Integrative Health, Inc. at Pacific Pearl La Jolla in California, where her clinical practice and education and research center are located. Copies of this program and a Live Better Now Master Package of premiums are only available through Public Television stations. 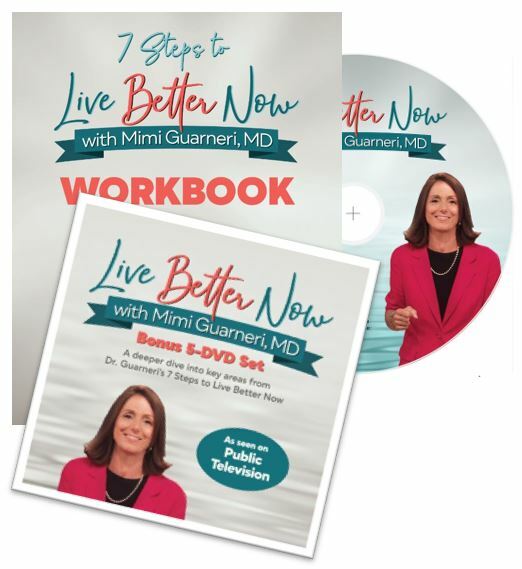 1) A DVD copy of the program, Live Better Now with Mimi Guarneri, MD. Approximately 60 minutes of content. 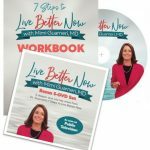 A deeper dive with Dr. Mimi Guarneri into key areas from 7 Steps to Live Better Now. This bonus series provides more than 1 ½ hours total of deeper content from Dr. Guarneri on 5 DVDs. 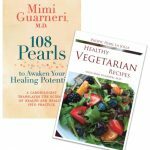 Pacific Pearl La Jolla Healthy Vegetarian Recipes with Mimi Guarneri, MD, a colorful 96-page healthy recipe book with tips from Dr. Guarneri and a helpful Alternatives and Substitutions list. Practical guidance in a 40-page workbook based on the program. Plus, the workbook contains an MSQ (Medical Symptom Toxicity Questionnaire) with additional self-assessments in each chapter. 7) Genetic Testing Discount Coupon (optional testing; coupon included in the Master Package) Know Your Genes Coupon: Dr. Mimi Guarneri’s Personalized Lifestyle Genetic Panel. The coupon allows you to opt-in to get Dr. Guarneri’s Personalized Lifestyle Genetic Panel for half off. With this coupon you get her genetic test for a 50% discount from the regular cost of $94. Additionally, the coupon enables you to receive $20 off each of five other genetic tests if you choose to order one or more of the additional tests. Coupon has no cash value and current expiration date is in early 2021. Listings were accurate as of 3/28/2019. It will be updated periodically with new dates and times. This is not a complete list. Check your local station’s online schedule to confirm dates and times. PBS-affiliated stations occasionally do not post several weeks ahead and sometimes make changes closer to air dates.